With the lack of updates and attention to Neltharion, the last gold squish you did as well as the adjustments to the realm's rates literally, also, cut the population of the realm in half. At this point in time, if you do this again to Nelhtharion. You will kill it. Don't try arguing and saying that what I said is untrue. Just because you are staff doesn't mean you know anything about the state of the economy/community on the realm. You don't know anything in regards to how hopeless we are on this realm as it is in this dying state. I hope your decision is thought over. This is unbelievable! Especially for Medivh players who have no cash shops or trading possibilities and Lordaeron 1x rate realm and the new realm Outland. You already gold capped us in the past and now you want cut our gold again by 50% Bleeding players dry for simple goods. That is unfair for little guy that worked hard the honest way for their gold. Can you explain your theory of how this is going to help, especially old and new players that are poor and struggling. Give us examples please. Players are now going to double their prices on the AH and it will make a bad situation worse. 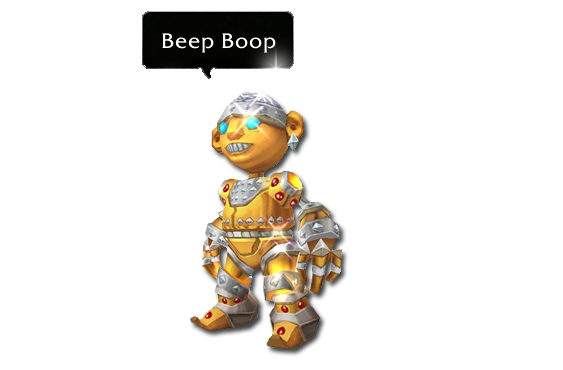 The Gold selling detection bot may or may not help with the global gold selling spam, and illegal gold trade will continue on the forums and why do you allow players to advertise. example: WTT Gold (5K) Lordaeron to Icecrown. Of course it is at the players own high risk. The Warmane marketplace trade for Gold prices are ridiculously high on Outland and Lordaeron and will just get worse. But for some of us farming fot epic flying or.mammoth? These prices won't change. Basicly warmane is forcing people to buy gold to get what they want before the sqish. Mechano-hogs won't sell for 9k. Same Battered Hilts won't sell for 5-7k either. Good / really needful items will stay pretty much the same. At least, make it possible to buy Scrolls of Deception for 500-1000g for a limited amount of time. At least for players with high donation ranks. This would compensate the losses and seem totally fair. Scrolls are BoP, you can't sell or trade them, but at least they have cosmetic value. We have also taken a stride in implementing yet another counter-measure, an artificial intelligence driven bot that detects gold seller spam, gold sellers and dispenses swift punishment whilst also learning over time of the many patterns culprits reside to using. Warmane community, you should understand that if you dont make this game playable, there will be no need for gold squish (noone will be on server so dont worry about gold). 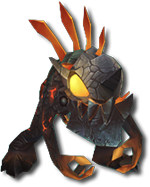 Think about this, you need to fix alot bosses in ICC, also RS, now you are squishing gold, do you really think that people will stay and swallow what you serve to them? As i can see lordaeron is falling apart, also will Icecrown since all end game bosses are bugged and there is no point of playing this game. If you want people to donate more make this playable and fix your community. If you cant fix problems ingame why whould people donate? Think about that there will be always people who will use third party programs which will bring them gold insted of donating because if you cant fix some crucial things why whould they give you real money and support? This is just my opinion, i dont wanna insult anyone but just think about what i typed. Thanks. Decreasing profession rates with gold squish combination worked pretty good, but we are past that point in "recovery" of gold squish where prices start to go up again. It is as expected, we have x3 gold rates and the sink(AH tax, repairs, skills etc) just can't keep up with it, its not even designed to keep up with x1 gold rates in such long terms. So instead of fighting the symptoms create new gold sink. Maybe something like month on que skip for certain amount gold, for example, Icecrown - 30k gold. Or transmog scrolls. Something. I wonder why do you want to squish the gold on Icecrown? What's your team's logic behind it? Just curious. Why I think this is a bad idea - Icecrown's economy has been stable for sometime now, epic gems 180 - 200g, primos 800g, they were even 1k + couple of months ago, but now the price has been very stable. Coins is also 1 coin = under 2K so I really do not see a reason to squish the gold once again. I do not know how it is in Outland, but I guess they'd need like Icecrown needed last year, but not this, unecessary. To those who are against this, sadly doesn't matter what you think or want. The gold squish is set in stone, best not bother wasting your time writing how much bull crap you think it is. You don't have a say sadly. woah woah lets not lie to ourselves that anyone will stop playing even if they did this 2 times a year. WoW is a drug who has the best kind of user, a user with money. Well.. I guess will have to go for a Mammoth with vendors and 1-2 Nobles' decks. Pity though, I felt secured having a bit of a coin I've spent on twinks. - Sure, but some of us (especially those having money to spend on games) are here for a break from retail, till next expansion comes out. Legion failed PvP and WPvP wise, that's why I'm here. If next expansion succeeds / is better than Legion PvP-wise and RPG-wise, I'm renewing my 6-year-long Blizzard sub. No doubt. it will help economy they say , i doubt it tho , chokers arent even at 1 third of what they cost before gold squish last year . or is that the next thing half of earned coins will be slashed in half too ? will u make repairs half price aswell as of 4th january ? You can ignore him anytime.